I almost feel like my own 2017 is turning into the Year of the Straw, but I suppose that's not a bad thing! Spending seven dollars on my set of reusable straws has absolutely been a good investment, and although not perfect, I've been able to save a lot of straws from the landfill or litter. Today at lunch, I enjoyed using my reusable straw because the paper ones were available for those who want them - not given out automatically. 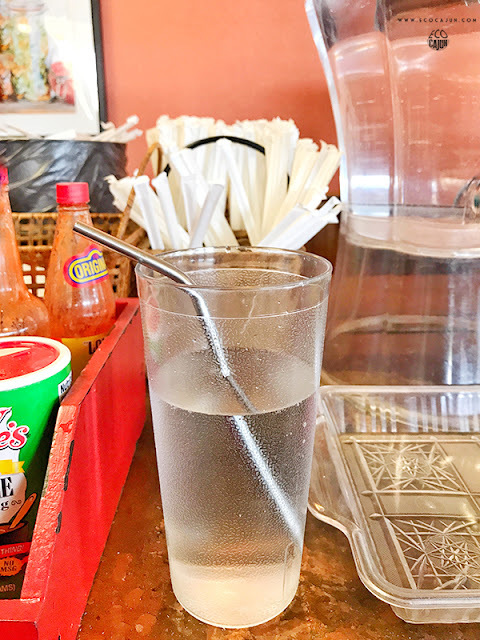 This is definitely a benefit to restaurants where you can fix your own drink; they're the easiest place to transition to skipping straws.